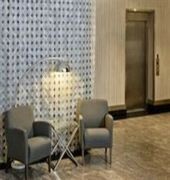 The Franklin Central Apartments offers accommodation in its newly designed contemporary and self-contained serviced apartments. 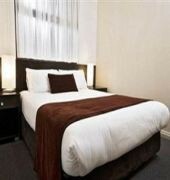 The apartments offer all the facilities and modern amenities of a hotel style accommodation, ideal for longer stays. The apartments include fully equipped kitchen with complete laundry facilities, high speed internet, HD LCD TV's with complementary in-house movie channels. 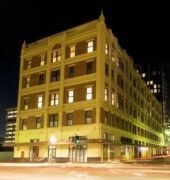 The other services include reception desk, secretarial services, secure onsite car parking and airport transfers, which are available via Smart Car.The Franklin Central Apartments is a 4-star property ideally located in the heart of Adelaide. It offers modern apartments with kitchen facilities and flat-screen cable TV.All self-contained apartments at Franklin Central Adelaide feature heating and air conditioning, separate living area, and fully-equipped kitchen. Free in-house movies are also included.The on-site cafe is open for breakfast and lunch. Room service is available. Guests can also charge their meals at a selection of local restaurants to their rooms.